Many interior designers rightfully state that the floor is one of the most important aesthetic elements within your home. These structures should provide a sense of bespoke beauty alongside an ability to withstand wear and tear over the years. Let’s take a look at how to choose the most appropriate flooring systems. For better or worse, floors will have to endure years of abuse. This is why choosing the right material is critical. For example, vinyl floors are often seen within high-traffic areas such as kitchens due to their utilitarian design. Tile and stone are naturally the most resilient. These can be employed if you are hoping to cut down on maintenance while embracing a more timeless appeal. You should also consider brand-name accessories such as Gradus nosings, as these will help to protect corners and edges (including those found on stairs). The type of material employed. The cost of physical installation. The good news is that you now have the option to choose cost-effective solutions which are still able to offer a sense of standalone beauty. Consider possibilities such as engineered wood, carpet sheeting and laminates if traditional surfaces such as wood or stone exceed your budget. This next section is primarily concerned with how the floor will impact the appearance of your home. It is always prudent to take into account existing elements such as the colour of the walls, any existing furniture and the size of the room. Floors should compliment their presence as opposed to detract from it. For instance, those hoping to display a more organic ambience will often incorporate composite wooden floors. Simulated stone is great for contemporary environments while laminated materials will provide an aesthetic sense of functionality. 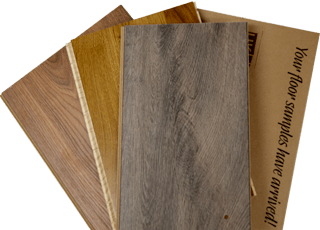 These are some of the most relevant guidelines to follow when choosing flooring materials for your home. Still, the process can be a bit confusing. This is why it is always a good idea to leverage the power of industry experts. 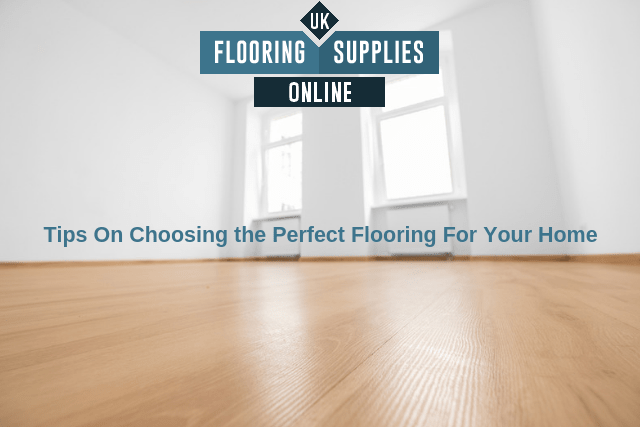 The professionals at UK Flooring Supplies are more than capable of addressing any questions or concerns that you may have, so give us a call!